For the benefit of mankind and Islamic followers and its flourishing, the education and schooling of the new generation is the basic need of the hour. This noble object has always drawn the attention of Huzoor Mufti-e-A’zam Hind (alaihir rahmah) and after him, Qazi-ul-Quzzat, Huzoor Taajush Shariah, Hazrat Allama Mohammed Akhtar Raza Khan Azhari to establish the grand religious institution that could be conductive to profound learning and through the correct understanding of Holy Quran and Sunnah, so as to discover the hidden part of Islamic ideology to suit the present situations of scientific and technical era. To also inculcate in the new generation, the true Islamic spirit and characteristics of a devoted preacher. At the same time it may emphatically gird them up with modern knowledge, so that they could guard themselves against heretic ideologies and material outlook. With their reasonable and logical approach they could put forth Islam before others, as an ideal and evergreen way of life and beneficial to mankind. The 20th Centurys great Islamic Revivalist, Imam Ahmad Raza Khan (alaihir rahmah) is the only thinker who brought an awaking in the Muslim community and provided the safeguard for Islam from the different influences of the era. Sub- serving this ideology, Huzoor Tajush Shariah felt a strong urge to lay down an effective system of education for the Sunni Muslims, which may infuse our learners as well as essential modern branches of knowledge. Hence, keeping in view the above, the Centre of Islamic Studies Jamiatur Raza was initiated on the 29th of May 2000. From the very beginning it had the following aims and objects. 1. Who are well versed in the knowledge of Quran and Sunnah and possess through the right understanding of Islam. 2. Who are well aware of non-Islamic thinking and characteristic specially the seduction of Wahabi, Deobandi, Tabligi etc. and important problem and have their eyes on the varied genuine problems of today. 3. Who bear a real and actual Islamic (Ahle Sunnat Wal Jamaat) character and conduct which is defined by the A’la Hazrat Imam Ahmad Raza Khan Qadri Bareilivi (alaihir rahmah). 4. Who are enthusiastic about the revival of Islamic values and who can loudly proclaim Allah Ta’alas command and obey and love by heart to Hazrat Muhammad (Sallal Laahu Alaihi Wasallam). 5. Who may be above all kinds of prejudged against any group, section or faction and who are devoted and broad-minded enough to carry on programme of social and moral reform and reconstruction. 6. To set-up and implement a course of study which may be the combination of religious and modern education with the priority of Islam and Islamic issues. 7. Providing all kinds of important facts belonging to the scientific researches, education and technology according to the present need of modern world. 8. 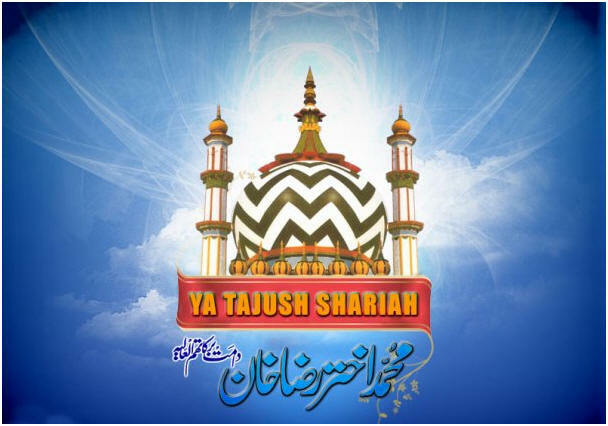 To discover the researches of A’la Hazrat Imam Ahmad Raza Bareilvi (alaihir rahmah) against the modern word and prove that these researches are fully beneficial to the present life style and also evergreen for the future life style. The Jamia takes the admissions through the entrance test which are held in the first week of Shawaal. The process of admission is through the merit basis. The minimum qualification to admission in the Jamia is the 5th standard pass and for the admission in a specified class the required qualification is the just before class pass. To admission in Hifz the required qualification is 5th class pass and also the memoraisation of five Paras. Entrance test form from 1st Ramadaan. Last Date for submission of form - 7th Shawaal. Entrance test date announced separately in prospectus and Jamia's notice board. Jamia has set-up of examination, which held monthly, Half early and Annual Examinations. The final result prepare on basis of Half Yearly and Annual Exams including the monthly exams. Jamia publishes all results on internet at www.hazrat.org and Jamias Notice board. The monthly exams results declared on 15th day of every month. Half yearly and annual results declare in about 15 to 25 days of exam. C.I.S. Jamiatur Raza provides these facilities to their students. Note: It has two sections - the 1st is Saba and the 2nd is Hafs. 2. Our aim is to be an Arabic University. With the ideal feature. 3. Next year we are going to start some courses which the designed for especially for the Indian Muslim community which do not have the deep Islamic knowledge as a Muslims like Doctors, MCA and MBA etc. 4. We are designing a programme for the Jamia affiliation department which will provide the affiliation to other small Madrasas and Jamia (who do not have a perfect syllabus) to encouraging for the one course for all Madrasa and Jamia. 5. Our aim is next five year to enroll with the 2000 (Two thousand) student is our Jamia. 6. Our aim is to shape a team of fifty students with the Fazilat Degree. Fifty students with Hifz-e-Qur’an Pak Degree and 25 students in Qiraat wa Tajweed. Total one hundred students are to going FARAGHAT. The team of 20 students is ready in Takhas-sus fil Fiqh. Our above mentioned aim is to become true in next two to five years. 1. A building for Administrative office. 2. A building for Darul Qaza & Darul Ifta. 3. A building for Darul Tasneef wa Taaleef. 4. A grand main gate is also required. 5. A building for Library. 6. An Academic building for extension of classroom. 7. A separate building for Computer Lab. 8. A commercial complex is also queued for construction.